Dark clouds and intense rain had banished the sunshine in Istanbul while Turkey watched the vote count of the constitutional referendum on Sunday evening. The results of the election presented the very dark side of the referendum, which shows the deep split of the Turkish population. Nearly half of the voters are against the change of constitutional system, which will replace the current parliamentary democracy with a strong executive presidency. The opposition challenging the results for change, because the High Commission on Elections (YSK) allowed voting cards without an official stamp. 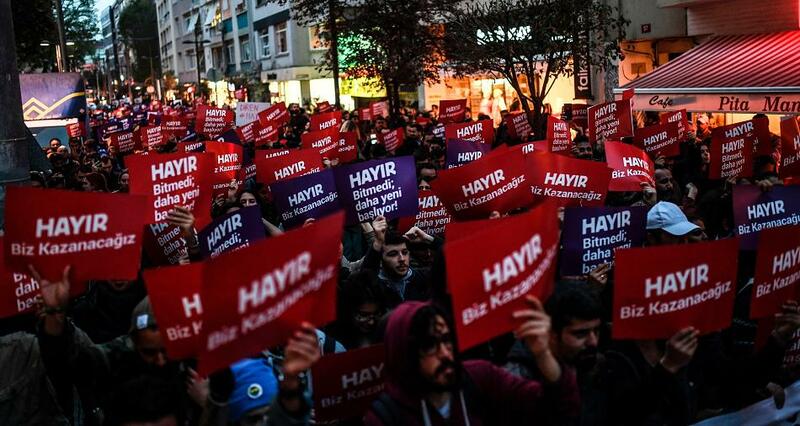 While Erdoğan was claiming his victory on television, crowds in the big cities like Istanbul, Ankara or Izmir began to protest against the manipulated results and Erdoğan’s expanding power. A lot of residents assembled on the streets, chanting and raving banners with slogans like ‘Hayır kazandık’ (No, we won) or ‘Hayır bitmedi, daha yeni başlıyor’ (No is not finished, it’s just the beginning). The protesters are claiming the results to be annulled and that they are not accepting the results because of the YSK manipulation. The protesters declaring the Evet campaign only won because of the acceptance of unstamped voting cards, which was decided last minute in favor of the Evet votes. 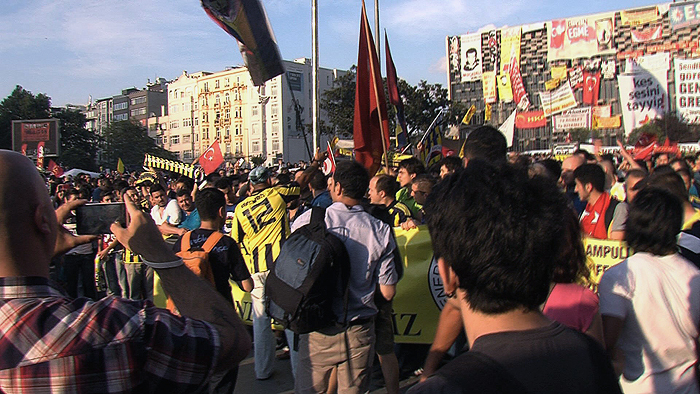 In the days after the referendum the protests didn’t stopped and thousands anti-government activists marched on the streets of Istanbul and other urban mostly secularized regions. The protesting style Tencere Tava Havası (Sound of Pots and Pans) took place as it happened in the Gezi Protests in 2013 and again the protesters spread the sounds of banging pots and pans from their balcony and windows. The use of this iconic form of a peaceful protest shows that the spirit of the Gezi Protest is not demolished and that there still exist a huge political activism. Erdoğan didn’t take the protests against the referendum seriously and mocked them in a speech on Monday, like he did in 2013 when he used the word ‘chapulling’. But the activists turned the words into their own power, which is raised again in these days within the context of the referendum. Groups like ‘Haziran Hareketi’ (June Movement) or ‘Taksim Gezi Parkı Derneği’ (Taksim Gezi Park Association) that were founded in 2013 called for protests via Twitter or Facebook. 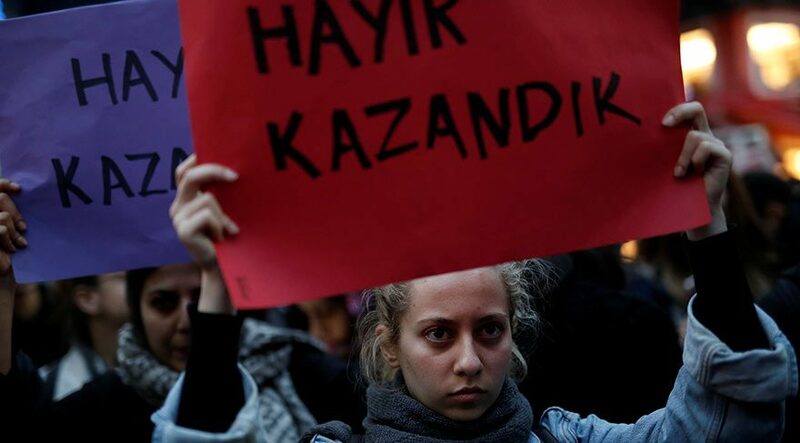 A lot of fotos and videos exists on social media with the hashtags #hayırbizkazandik, #hayırdahabitmedi, #hayır or #YSK whereas the official Turkish media doesn’t report much about protests following of the government’s censorship. Although the cold and rainy weather metaphorical supported the current political situation of the government’s opposition, the Turkish people aren’t tired of chapulling even in the rain and call for justice.